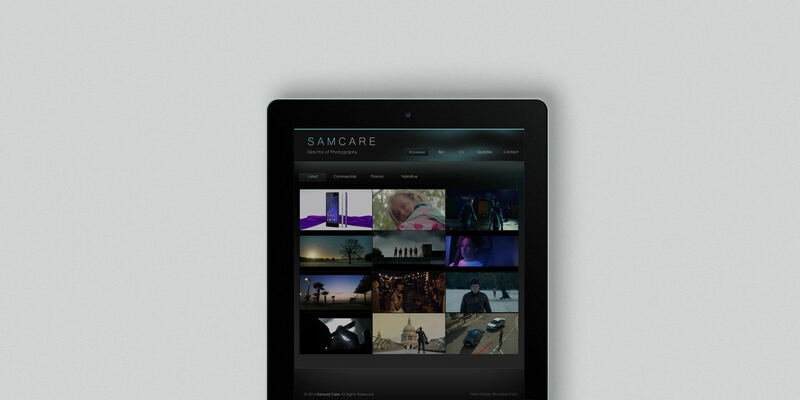 Samuel Care is a London based cinematographer who is sought after internationally, shooting a mixture of drama, commercials and music videos. In 2011 Sam was chosen by BAFTA as a ‘Brit to Watch’ and attended the subsequent event in LA. It was hosted by the Duke & Duchess of Cambridge in order to promote emerging British film-making talent in America. After few consultation and wireframes sketches, I designed and developed Sam website in WordPress using Isotope filters plugin and Vimeo player.